This post brought to you by BIC 4 Color. All opinions are 100% mine. Taking notes in class? Studying for finals? You'll have to try something new old school. 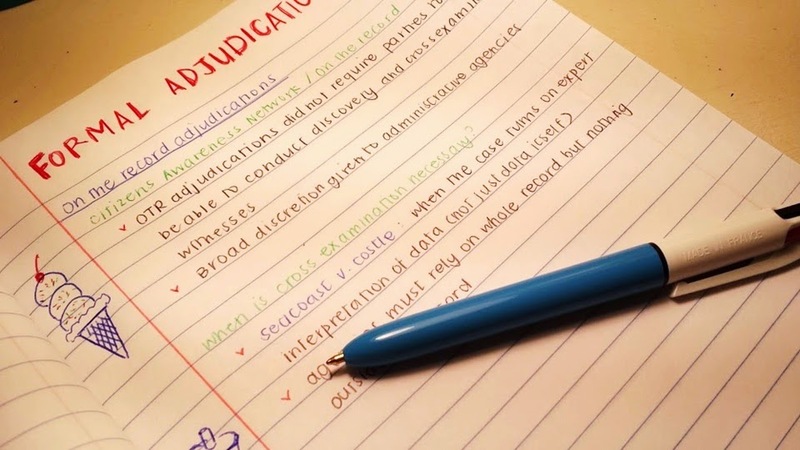 I recently took BIC® 4-Color™ pen out for a spin in some of my classes. I had a bunch of these multicolored pens when I was a kid, and it was great using them again for a different purpose: taking notes in class! Maybe I'm just OCD about my class notes, but I love how colorful and organized they turned out. It's seriously an easy way to outline or organize thoughts through color coding. It was hot and I was hungry, so yes, I did doodle an ice cream with a cherry on top. My favorite thing about the BIC® 4-Color™ pen is that there are 4 Inseparable Colors in 1 Pen! Each color not only helps your organize your thoughts, but the different colors can help express your mood. With just a click, I can switch over to a different color. Feeling good about yourself? 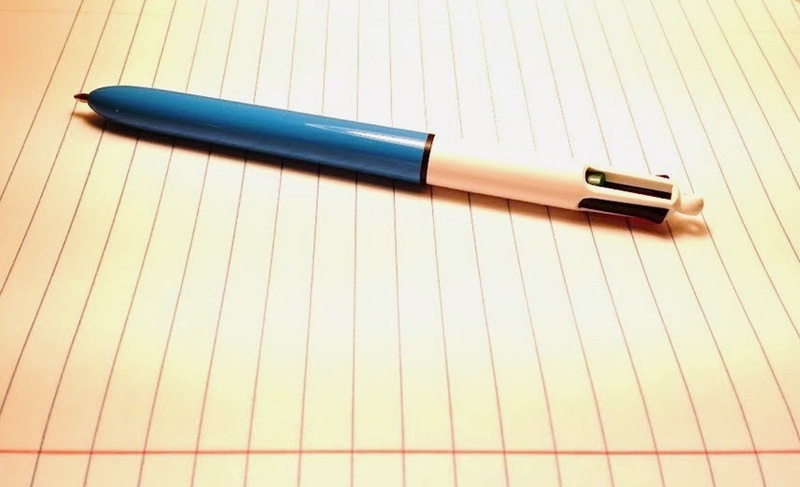 Write with blue ink, because let's admit it… blue is the boss. Feeling envious? Write with green ink. Green doesn't get used as often and it's the color of jealousy. Feeling a little OCD? Write with the red ink. Red likes to go around correcting everything: grammar, spelling, and calculations. Feeling a little plain? Write with the black ink. It's not as colorful as the others, but arguably is the most useful. Which color are you? I'm just a little red, but hopefully mostly blue. I literally just have to grab this pen and a notebook before class, and I'm good to go. If you're struggling with your non-color coded notes, you can get one yourself from Amazon or Staples. And don't forget to follow BIC®'s Facebook for cool doodles and giveaways, as well as the Twitter, where you can follow the antics of the different colors.